“QUARTZ WATCH” How does it work? The Quartz watches are the most extensively used watches because of their most accurate Timekeeping. The watch uses a tiny piece of quartz crystal which is the main ingredient of sand “silicon-dioxide” , Quartz crystals are piezoelectric, which means that they generate an electrical charge when mechanical pressure is applied to them. They also vibrate if an electrical charge is applied to them. The frequency of this vibration is a function of the cut and shape of the crystal. Quartz crystals can be cut at a consistent size and shape to vibrate at thousands of times per second(around 32,000Hz), making them extremely stable resonators for keeping very accurate time. If you have read my previous posts, you might be knowing what exactly “Piezoelectricity” is. If you missed it here’s the link Piezoelectricity. 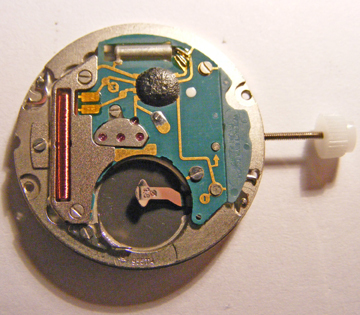 This is how Quartz looks in a watch. Higher accuracy devices generally use a material with even higher frequencies (again the frequency must be as stable as possible). 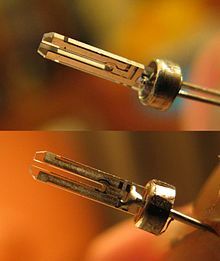 Atomic clocks count the oscillations between the nucleus and the electrons in an atom (typically cesium) which oscillate at around 9 billion Hz. Timely information as I put on my watch for the day! Merci. Many of us just slip quartz watches on our hands without a second thought, but from your explanation there is a lot of science behind it, thank you for sharing this great information. 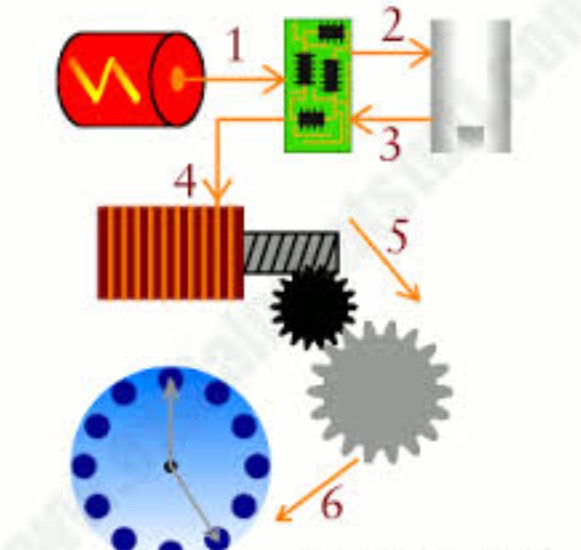 Previous Post “LASER PRINTER” How it works? Next Post Computers more like a human “BRAIN”? ?